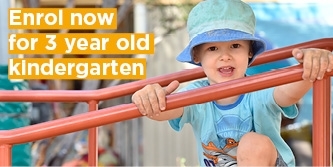 Arnolds Creek Kindergarten is a modern, purpose-built and sustainably designed kindergarten in the growing Melton community. We offer families high quality and inclusive three and four-year-old kindergarten programs that support each child to realise their potential. Our experienced, dedicated and qualified educators will provide an emotionally warm, caring and intellectually stimulating environment for your child to enjoy. Even more importantly, our educators will ensure your child is safe, secure and happy while at Arnolds Creek Kindergarten. Bright, modern and flexible indoor spaces filled with plenty of natural resources to support children’s learning. Rooms open onto our expansive natural outdoor environment which is perfect for exploration and fun. Our yard features shaded play areas enabling children to play outside safely in all seasons. Our high-quality kindergarten programs have been recognised as exceeding the National Quality Standards for early years services set by the government. Children benefit from learning Japanese thanks to our participation in Early Learning Association of Australia’s (ELAA) language program. Children’s mental health and wellbeing are supported thanks to our partnership with the KidsMatter Early Childhood mental health initiative. Families can use our iPads to engage with Storypark and the KidsMatter website and borrow books from our well-resourced parent library. I’m Janice Reardon, the Nominated Supervisor and Educational Leader at Arnolds Creek kindergarten. 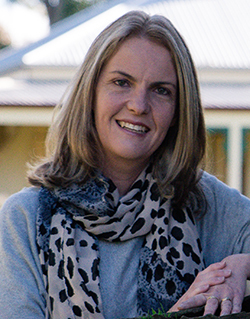 I’ve been teaching for 15 years and hold a Diploma in Teaching (Early Childhood), and a Graduate Diploma in Special Education. I’ve been at Arnolds Creek Kindergarten since 2013. I feel privileged to make a difference in the lives of children and families. I love watching children grow as they learn, in an engaging and stimulating environment, through play-based learning experiences that have been provided to extend on their interests, needs and strengths. Quality early learning is so important for children. That’s because the evidence tells us that the first six years of a child’s life, but especially the first three, are a critical period for learning and development. 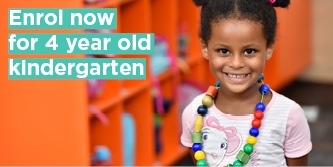 Caring and supportive environments that promote optimal early childhood development, health and emotional well-being greatly increase children’s chances of a successful transition to school and positive life outcomes. I look forward to welcoming your family to Arnolds Creek Kindergarten.